When I first started in the trade we used to run into shielded control wires on the Carrier Comfort Zone 1 zoning systems and also on a Carrier VVT system I used to maintain at a bank. I knew it has something to do with electrical “noise” and that communicating systems often called for it but I never looked any further into it. Over the last decade there has been a lot of different residential communicating systems that have come out. Some require shielded cable, some recommend it and others don’t mention it all. The fact is that whenever controls work on a low voltage “signal” rather than a simple “on/off” control they are more susceptible to induced charges from other nearby conductors, electronics and even transients from electrical storms. 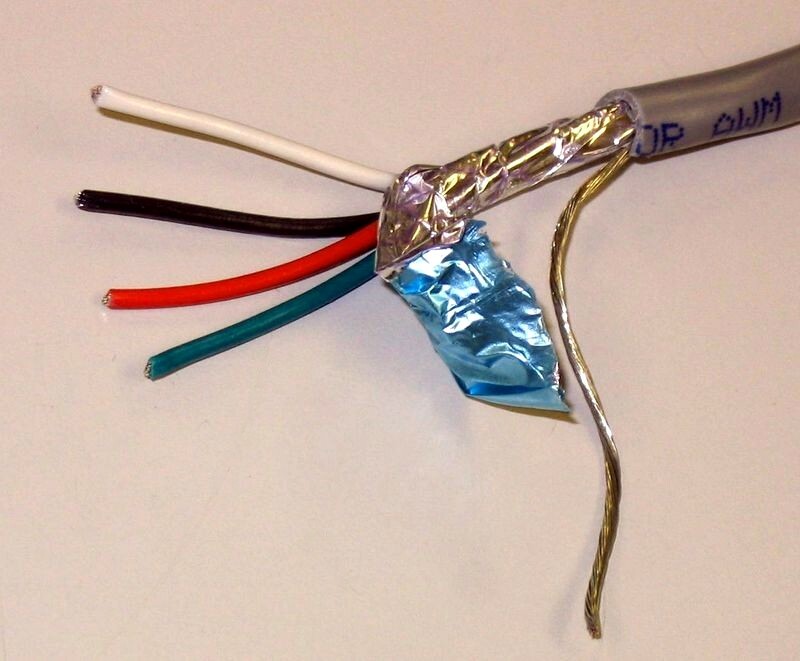 A shielded cable has a metallic jacket that surrounds the individual conductors and routes the induced charges to ground, keeping it away from the conductors inside. As an example of this, I installed a Carrier Infinity system at my own house WITHOUT using shielded cable and almost every time there are lightning strikes nearby the unit will throw a communications fault, since I’m in florida that happens quite often. If you do have the wisdom to run shielded cable you need to remember to bond (ground) one side of the shield securely to a good equipment ground on one end and ONE END ONLY. If you ground both ends you risk the sheild becoming a path in the case of a ground fault which could cause some bigger issues. If you ground both ends you can also create a “ground loop” that can cause the very noise you set out to eliminate. In some cases, you can perform a similar function by grounding leftover/unused conductors on one end if you failed to run a shielded cable. There is no guarantee it will solve the issue depending on the severity because the other conductors don’t fully surround the conductors being utilized. The lesson being, when working with communicating “signal” controls run shielded cable whenever possible. I was looking around and found this spec sheet from Southwire on their shielded 8 wire.